The SPE Diamond Blocks offer the user a modern alternative to carborundum abrasive blocks. Suitable for removing paint, general concrete grinding and the removal of high spots on power floated floors. Designed for use on smaller single phase or petrol machines. 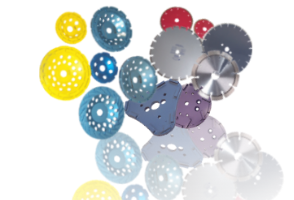 Provides the rapid action and long life associated with diamond abrasives.